The thorny rind of the “king of fruits” can be repurposed into biodegradable packaging materials without using environmentally harmful petrochemicals (which we denounced in a previous article), a new research from Nanyang Technological University (NTU) in Singapore stated. In late 2018, a group of scientists from NTU were able to develop an “all-natural food stabilizer” from the seeds of the durian fruit after discovering that it is 20 percent more effective in extending the lifespan of probiotics than commercial food stabilizers. The seed is also plant-based, making it a suitable and sustainable stabilizer for vegetarians, read the aptly titled “Maximizing the waste stream” research. 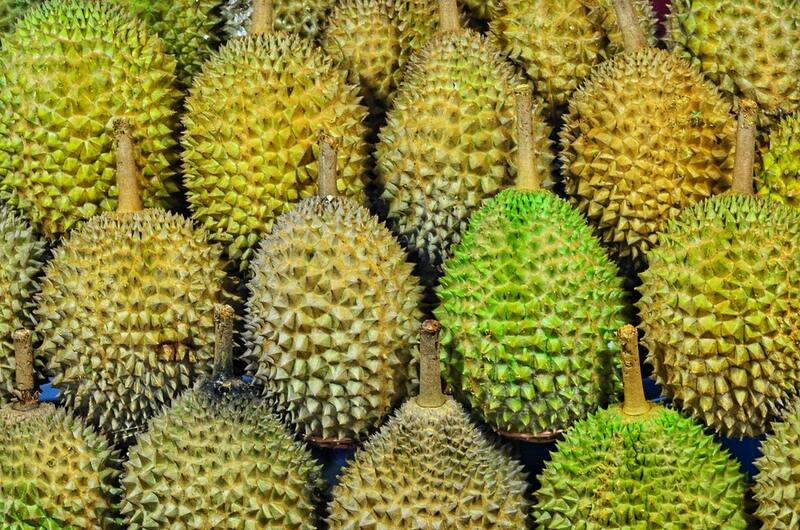 William Chen, the same professor who led the mentioned durian study, recently found out that the fruit has another sustainable feature: The pectin or fiber from the fruit’s husks can create “shiny and slightly cloudy” sheets perfect for packaging. The process of making the sheets is 100 percent natural, unlike other “biodegradable” packs that use chemicals harmful to the environment. The packaging materials are made by cutting, grounding, and shredding the husks until cellulose powder is extracted (FYI, cellulose is the main substance of a fruit or a plant’s cell wall that helps it remain sturdy). This powder will then be mixed with natural and non-harmful solutions that will turn it into thick and flexible sheets. The sheets’ facade is slightly cloudy, but you can change its coloring by adding color into the cellulose powder. If the packaging cannot be reused anymore, you can just plant it again on the ground and it will decompose on its own. The research team is now in talks with food and beverage companies to encourage them in using the sustainable material. If more companies are acquainted and encouraged to invest in eco-friendly packaging like this, we can finally bid goodbye to the huge role plastic plays in our everyday consumption.